How much is the equity? If you have at least 40- 90 % equity on your home, you could benefit from instant loan of $10,000.00 to pay off the arrears of mortgage, taxes and utilities. The loan allows you to quickly and easily pay off all your arrears. 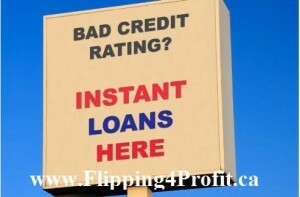 The loan gives you the extra boost you need to fix your credit and obtain long term financing. Note: the larger equity in your home, the better your chances of being accepted into our instant INSTANT C$10,000.00 Loan for Canadian Homeowners. Please be realistic in your expectations. Only serious homeowners will be contacted.